Travel theme: Spring | Oh, the Places We See . 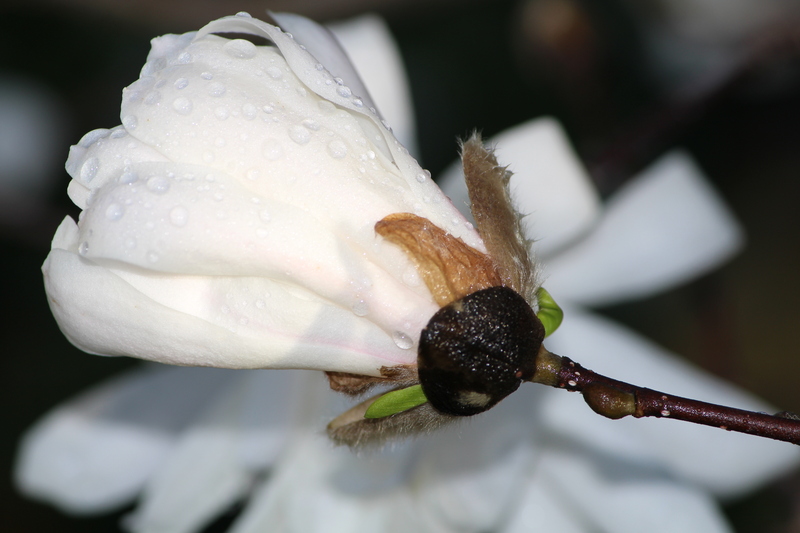 . .
Taken at face value as seen from my kitchen window, this White Star White Magnolia looks lacy, delicate, and pretty, especially when viewed with bright yellow forsythia in the background. It’s OK, lovely in fact, as it is — seen from a distance. Outside my back door, a White Star White Magnolia is the first sign of spring. But it’s not until we get a close-up view that we know spring is here. This treasured tree blooms for a week at most, and sometimes it has a hard time holding on even for that long. It’s easily buffeted by spring winds and weighed down by the gentlest rains, so blooms have little staying power given nature’s whims. No matter. Sometimes the fleeting nature of this tree makes it even more endearing. The delicate while blossoms. Subtle pink markings. Pale yellow stamen. Fuzzy gray calyx. We love it all, but have to get close to see its true beauty. 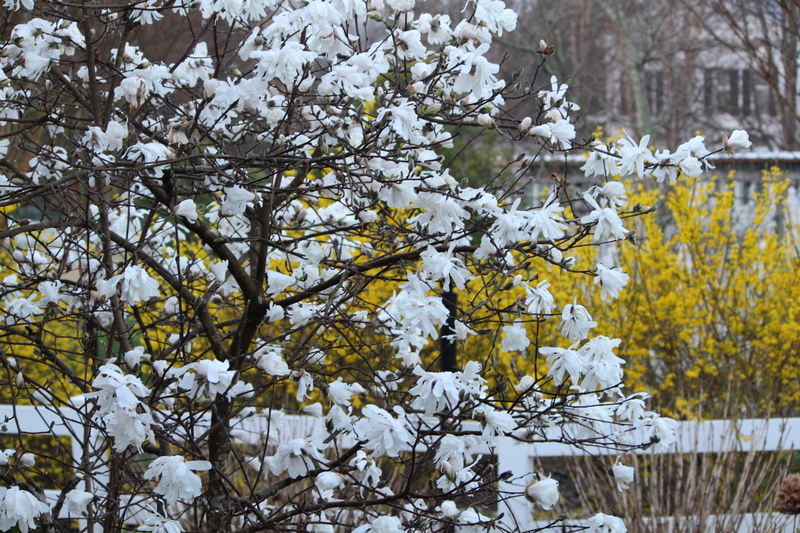 Spring officially arrives with the blooming of our White Star White Magnolia. And its gentle Hello is one of the most welcome signs around. For more entries in Ailsa’s Where’s My Backpack challenge this week — Travel theme: Spring — click here. 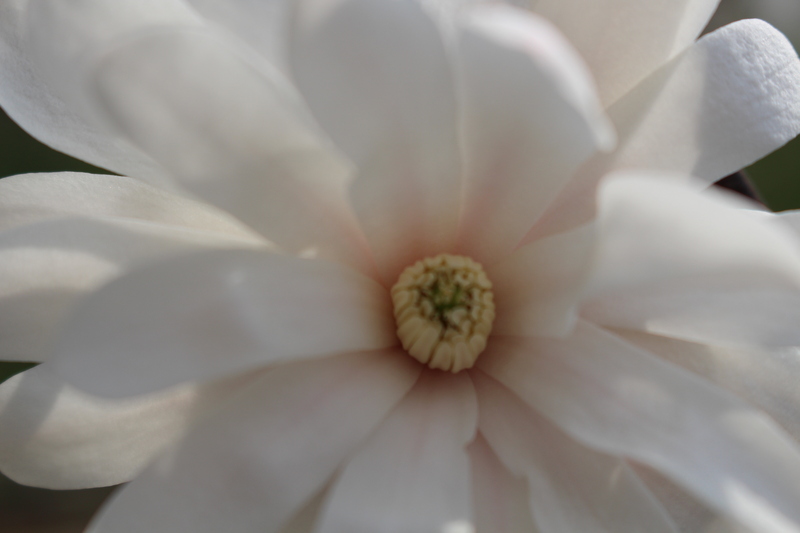 This entry was posted in Travel Theme and tagged flowers, spring, Travel theme: spring, white star white magnolia. Bookmark the permalink. That’s gorgeous! Happy spring to you! Thanks so much for taking a look and commenting. I truly appreciate you! 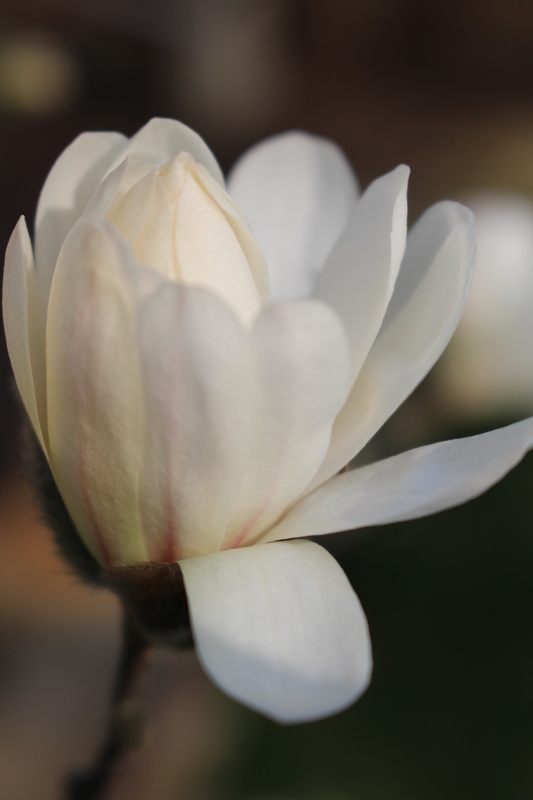 You’re so right about the South — we do love magnolias! Next up around here are redbuds and then dogwoods. Love spring! Thanks, Jeanne. I’m really trying hard to use my camera better and get great shots. Appreciate the compliment! You picked my favorite photo of the bunch. That sweet tender pink is so fleeting. None of the blooms have that on them anymore. Thanks for taking a look! 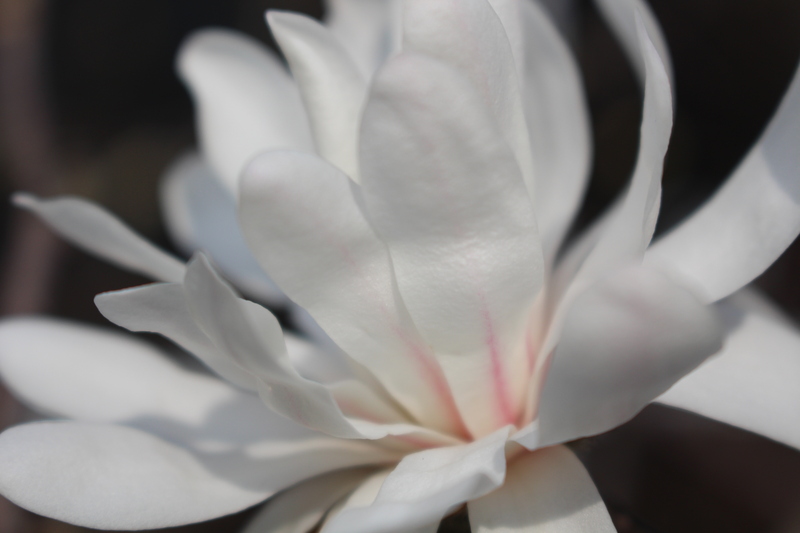 I love White Star White Magnolia! Delicate, indeed! We love these trees, too, Amy. Next up around here will be redbuds and then dogwoods. Spring is the best time to visit Knoxville! Glad I could cheer you up! The blooms are already spent. One big spring rain and they’re all bent over. It was fun for a few days though! We are bout to head into summer! Oh, gosh. I love summer, too, but ours get too hot. So spring is still a favorite of most people around here. Thanks for commenting! What gorgeous photos! Such beautiful blossoms! And that hint of pink… perfection. Thanks! I love getting close to these blossoms. I guess it’s nice to have a tree like this so handy! Appreciate the comment! I like your spring better than mine. Here in Chicago, the white stuff in the trees outside this morning is SNOW! Ugh. As much as I love new-fallen snow and the fun kids can have in it, I’m over winter completely. The spring flowers and sun are raising my spirits. Come on down! Thanks so much! The blossoms are already falling, so I took some hold-on-for-one-more-day pics today. Love this tree!